The Department CIBIO NGS Facility is a Research facility and our goal is to offer cutting edge next generation DNA sequencing technology to our users and to deliver high quality data and analyses to our collaborators. 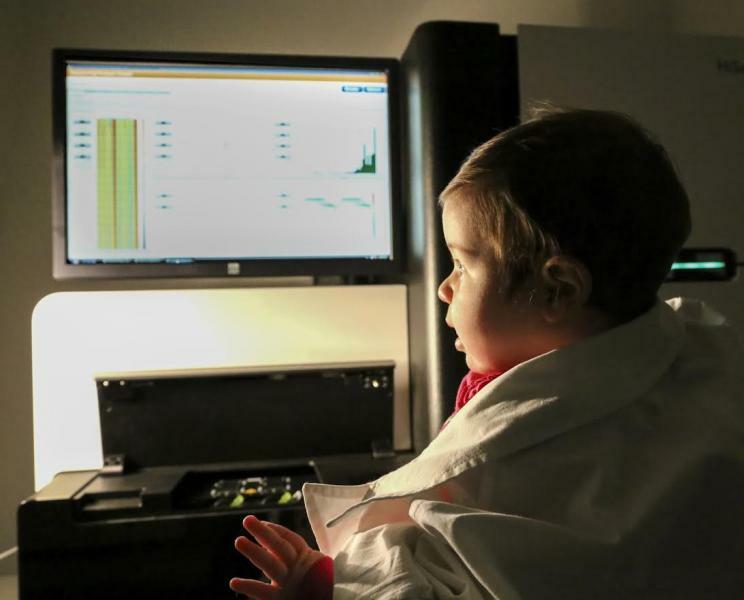 Next generation sequencing has a great potential for new discovery in many and various biological and medical disciplines. 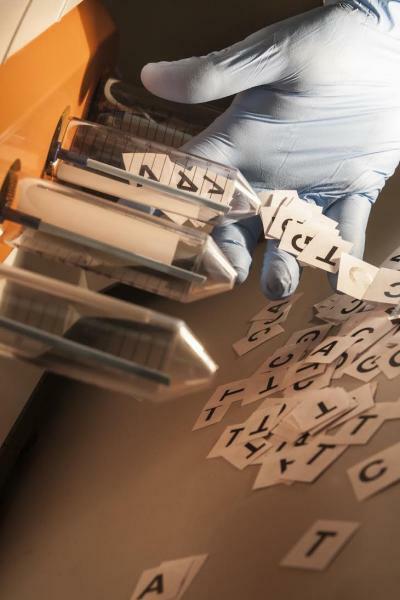 This technology enables massively parallel sequencing of nucleic acid fragments to address a variety of experimental questions including DNA re-sequencing, SNP discovery, detection of structural variants, genome-wide measurement of mRNA transcripts levels and a number of other applications. 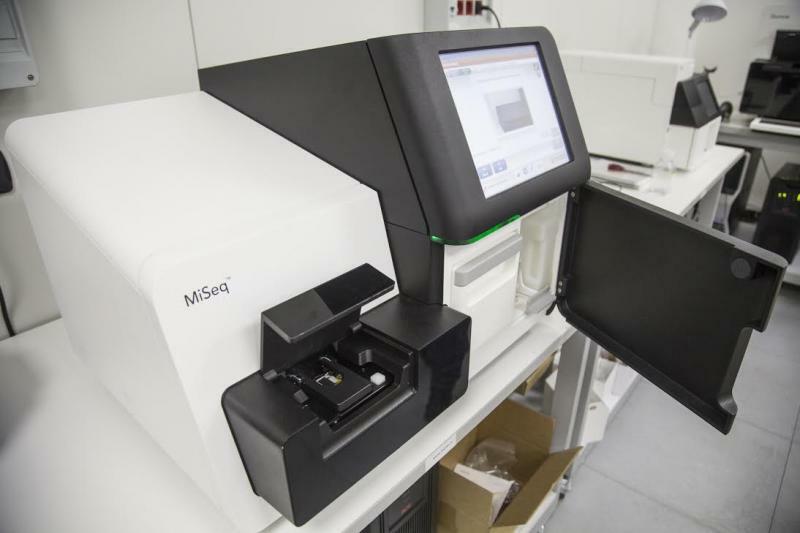 Our Facility operates an Illumina HiSeq 2500, an Illumina MiSeq and a Ion Torrent PGM (equipped with a Ion Chef System for reproducible template preparation and chip loading). The Illumina HiSeq2500 features two run modes, rapid run and high output run mode, and the ability to process one or two flow cells simultaneously. The HighThroughput mode has the ability to run two 8-lane flowcells v3 at a time yielding 200 million reads from each of the 16 lanes. We offer read lengths from 50 to 100 nucleotides for both single-read and paired-end sequencing. 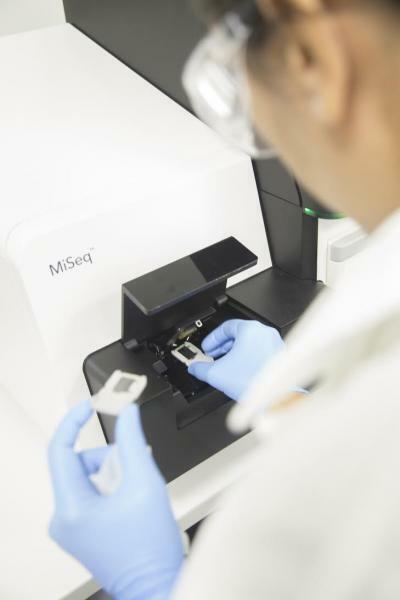 The Illumina MiSeq is the newest addition to our next-generation sequencing suite. This platform can be used for a variety of applications including pilot studies to quality control larger HiSeq projects, sequencing small genomes such as microbial or viral samples or sequencing enriched target regions. The Ion Torrent Personal Genome Machine (PGMTM) sequencer enables researchers to obtain highly accurate sequence in record time. Our facility offers Next Generation Sequencing on the Ion Torrent PGM for many validated applications spanning from amplicon sequencing to bacterial genome sequencing. The Oxford Nanopore Technology MinION: the only portable real-time device for DNA and RNA sequencing. In addition, we are willing to work with researchers to bring other custom applications available on these platforms. We currently offer library preparation as a service for some RNA and DNA applications, and we can help with the NGS experimental design, giving advice on many libraries preparation protocols and performing quality controls (QC) on your libraries. Moreovere, we have installed at the beginning of 2015, an NGS Express (Perkin Elmer) automation instrument programmed with software for some library preparation kits, (only for Agilent Haloplex Exome and Illumina TSCA library preparations). Please contact us if you are tired of building your own libraries and you would like a robot to do it for you, in the future. We would like to receive at least 20µl of DNA library at a 20nM concentration (more is always better...contact us if less is the case). When submitting samples we need to know the average molecular weight of your fragments (done by a Bioanalyser or equivalent machine) and the concentration in ng/µl (done using a Qubit or similar fluorescence assay, NOT Nanodrop). It is your responsibility to provide correct information – failed runs will still be chargeable. If the following initial QC requirements are not met you will be informed via email. You may either resubmit samples of adequate quality and quantity or proceed with the existing samples. If you choose to proceed with samples that do not meet our loading requirements, the samples will be run AS IS, and we cannot guarantee the quality of downstream data. The facility will try to process samples in the order they are received in our laboratory. To use the instrument in the most effective manner and to minimize the cost to the users, we will attempt to collect a full set of samples before initiating a run. Clients who do not wish to wait until a full set of samples has accumulated will have the possibility of rushing their order by agreeing to pay the cost of the unused lanes. Co-aut horship is commonly expected when Facility personnel have made meaningful contributions to the research project in the form of consultation, experimental design, method development or data analysis and interpretation. In such cases, the Facility personnel should have the chance to review and edit the manuscript before submission. Acknowledgement of facility contributions is due in publications that include any data generated in the facility even when fee-for-service is performed with minimum work by Facility personnel. An example of an appropriate acknowledgement is “The authors wish to thank the LaBSSAH - CIBIO Next Generation Sequencing Facility of the University of Trento for sequencing samples”. Base calling and primary analysis is standardly applied to the sequence reads resulting in fastq files and quality information. Researchers will receive an email with instructions for downloading their data from an rSync site. Data will be removed from the site 30 days after the data availability email is sent to the researcher. Once data has been removed from the rSync it is unlikely that the core will be able to recover it. The LaBSSAH - CIBIO NGS facility highly recommends that researchers make backup copies of their data.